The Model H802 Combination Telephone/TV Hub provides a grid mounted solution for distribution of telephone and television. Four telephone lines can be distributed to six locations. 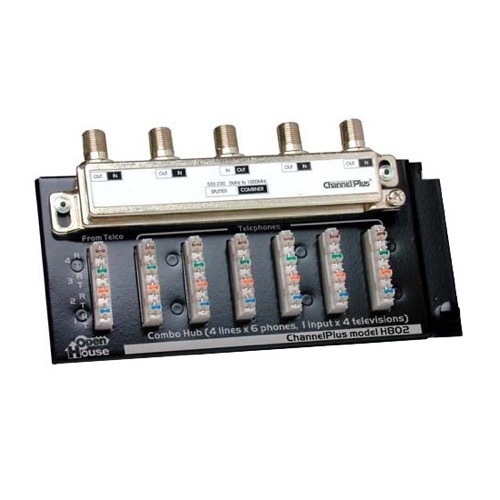 CATV or antenna signals can be routed to four locations with the high quality on-board splitter. Dimensions: 6.25" x 1" x 2.75"